Something that our country – and this world – needs is more powerful women. Some women aspire to rule the world. Others aspire to have a family. These women seem to be able to do it all. From running multi-million dollar technology companies to starting your own newspaper, let’s celebrate the women who have reached the goals that we all have. Watch out Coca-Cola, this Indian-born but naturalized American woman is CEO and a Chairperson of PepsiCo, aka the second largest food and beverage company in the world. Nooyi has also held positions in the companies Johnson & Johnson and Motorola. 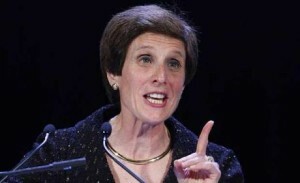 Since she became CFO and later moved up the ranks, PepsiCo has more than doubled their net profit. 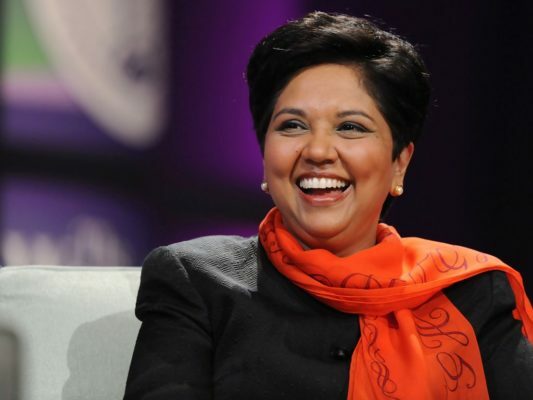 Nooyi has been on the World’s 100 Most Powerful Women list since 2006.
Who doesn’t love mac & cheese? This New York native is a chairperson and CEO of Kraft, thus also the queen of mac & cheese. After studying at Cornell University, Rosenfeld became involved with the food industry. After being appointed as CEO of Kraft, she lead a restructuring of the brand in the United States, Moscow, and Canada. 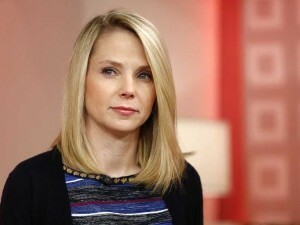 In 2014, she ranked just behind Oprah Winfrey on the Forbes’ 100 Most Powerful Women. Also known as “Ginni,” this American woman is President, Chairperson, and CEO of IBM (so basically she does everything). 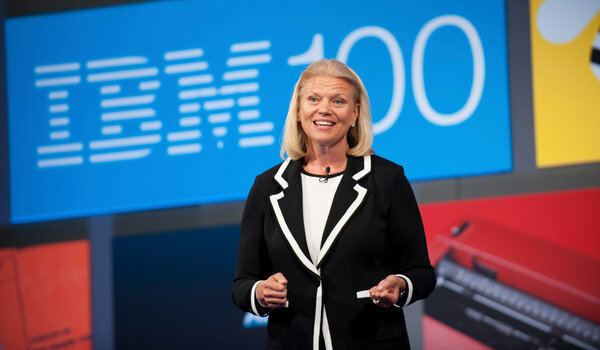 Rometty is the first ever woman to head this company, making waves for women who will follow in her footsteps. 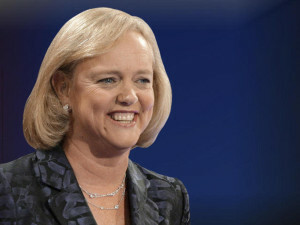 She has made Fortune’s “50 Most Powerful Women in Business” list for the last 10 years in a row. After attending Princeton and Harvard, Meg became chairwoman, president, and CEO of Hewlett-Packard. The Long Island native was also CEO of eBay for 10 years. In 2008, the New York Times said she was most likely to be the first woman president. She also is married to a Stanford-grad neurosurgeon, and they have two children together. Can you say #lifegoals? This Wisconsin native flipped the script after being a spokesperson and executive for Google and then switching to Yahoo! to become CEO in 2012. Google, do you need some ice for that burn? She credits her poise, discipline, and confidence to her piano and ballet lessons she took in high school. While attending Stanford, Mayer was in the university’s Nutcracker production. One of the best policies Mayer changes for Yahoo! was their maternity leave process, giving more time and cash bonuses to the parents. Attention: this woman was responsible for Hannah Montana, and basically the rest of our childhoods. Bow down. 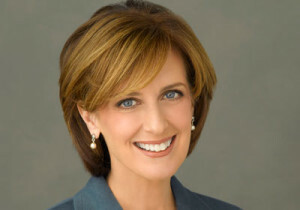 Until 2014, Sweeney was co-chair of Disney Media, President of Disney – ABC Television Group, and president of Disney Channel. Sweeney oversaw the creation of two new network channels, FX and FXM, which are both still very successful to this day. The New York native decided to pursue a passion in television directing after 17 years of working with Disney. Huffington is co-founder and editor-in-chief of The Huffington Post. Huffington also ran for the U.S. Senate. She became a LinkedIn influence and played herself on an episode of Family Guy. That’s when you know you’ve made it. A fashion designer who is known for her fabulous wrap-dresses, Furstenburg married into the German House of Furstenburg. Her company, DVF, is available in more than 70 countries, and she even has a show on the E! network. In 2005, she was awarded the lifetime achievement award by the Council of Fashion Designers of America. Pascal is a chairperson for Sony Pictures Entertainment and has overseen the making and distribution of motion pictures and television shows. Pascal was a chairperson during the Sony hacks in which emails were leaked of her standing up for women, saying that women should know their worth and ask for it. You go, girl. Cara Delevingne has this woman to thank for her amazing career. Up until 2014, Ahrendts was the CEO of Burberry, the best selling company in the United Kingdom, which also sells all over the world. 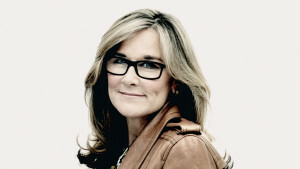 She left Burberry to become senior vice president of Apple Inc.’s retail and online stores. She earned more than any other executive at Apple Inc., including Tim Cook, and is the only female senior executive at Apple. You know your favorite online store to shop at, NastyGal? Yeah, this lady founded it. While only 31, she is running a successful clothing, accessory, and shoe business which was called one of the “fastest growing companies” by Inc. Magazine. Amoruso shows us women that being a success can come at any age, with any passion. These women are people to look up to and to aspire to be. No matter what your dreams are, they can teach you lessons. We must work hard for what we want. Don’t give up. But most importantly, half of these women didn’t end up doing what they studied in college, so don’t worry about making a mistake for your future. Everything will work out. Featured Image via Annex Magazine.